1. Alexa: Is Your Competition Doing Something Better than You? You are doing great, but never forget to keep an eye on the competition. For example, how is their website doing? Of course, you have used Alexa to rank their traffic, but did you know this tool can do much more? Alexa can also identify competitors you were not aware of. It will tell you what they are doing better than you and give you the advice needed to fix this. This great tool offers a free, 7-day trial. If we are talking about SEO, people think it is all about Google, but Bing has a 9% market share which amounts to billions of searches. So, if your website is Google-optimized, start getting Bing-optimized! The search engine itself will help you do this. Being Google Search Console’s lesser-known alternative, Bing Webmaster Tools will help you improve your site’s performance by offering tools to troubleshoot the crawling and indexing of your website, sitemap creation, submission and ping tools, website statistics, and much more! Dead links on a website result in a bad customer experience. They make a website look outdated too. That’s why Google penalizes broken links, and SEO experts warn you to fix them. Have you checked your website recently? Because of the ultra-fast changing nature of the Internet, chances are your site has broken links on it. A free and easy way to check this is BrokenLinkCheck.com. 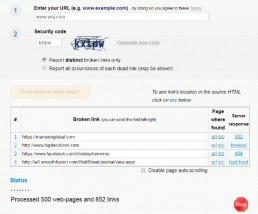 This tool will check your web-pages for dead links and will report bad hyperlinks. Highly recommended! To drive more traffic to your website, it will help when site visitors tweet your content. Through Click to Tweet, this process will become frictionless. This tool helps you embed on your website the text and link you want to be tweeted. The result is website visitors will be more likely to share your message. Furthermore, the tweet will be written the way you want it. The easiest way to increase revenue is by selling more product to your loyal customers. 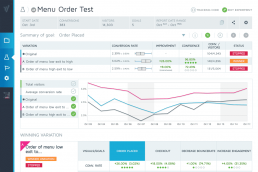 A great tool to help you accomplish this is Convert‘s A/B testing tool. This is an affordable, user-friendly optimization tool. Especially useful is Convert’s personalization features which allow you to be more persuasive by matching specific pages to specific people with rich geo-targeting. In fact, we may target you today. So, you don’t have enough Twitter followers? Just try this: every day follow 100 other users of Twitter. A huge percentage will follow you back. A great app to do this is Crowdfire. This app will accelerate the growth of your Twitter reach. How do you communicate with someone you are going to meet for the first time? If you want to sell something to this person, you will want to have a little indication what sort of person you will be meeting. The Crystal app shows you the best way to communicate with any person based on their unique personality. Crystal analyzes public data to tell you how you can expect any given person to behave, how he or she wants to be spoken to, and perhaps more importantly, what you can expect your relationship to be like. Of course, talking to someone is the best way to get to know a client, but Crystal is a great way to prepare that conversation! One of the main KPIs in email marketing is the percentage of forwarded newsletters. To be more shareable, be sure to always include a nice “Email to a Friend” button or link in your marketing emails. I recommend MailChimp’s Forward to a Friend tool. Your campaign report in MailChimp will show how often your campaign was forwarded and how often those forwarded emails were opened. If content is a big part of your website, you have to measure scroll depth: how far users are scrolling down your website and which subpages they visit. This gives an indication of how they use your content, and what wishes and interests they have. 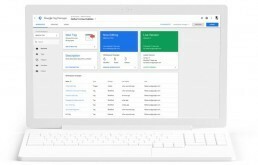 You can track scroll depth through Google Tag Manager, a tool that also adds and updates AdWords, Google Analytics, Floodlight, and non-Google tags on a website. This tool is a great way to really understand your website visitor’s behavior! You don’t need to hire a trendwatcher if you use Google Trends! Based on Google Search, this tool shows how often a particular search term is entered relative to the total search volume across various regions of the world and in multiple languages. This enables Google Trends to give insight into the subjects the population cares about and alerts you to emerging developments. The tool is also used to explore financial markets. Just try it; it’s free! Do you want to write better content in less time? 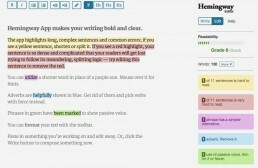 Use the Hemingway App to optimize your texts. It’s like a spellchecker, but instead of checking spelling, it checks for style. It makes sure that your reader will focus on your message, not your prose. Hemingway judges the “grade level” of your text using the Automated Readability Index and highlights the words and sentences you should change to make the text more appealing. This free app is like an automated proofreader that will make your content more persuasive and effective. Keeping an eye on your competitor is a fascinating activity, but it is not very cost-effective. There is a nice solution: with Owler you can keep track of the companies you want to follow. Is there any news? Have they found new investors? Owler will deliver you all these updates and more right to your inbox. Consumers love free stuff, and you like exposure. So, how do we combine these two facts of life? Ask customers to reward you for sharing valuable information by tweeting about it! A great way to accomplish this is Pay With a Tweet. With this tool, customers get access to your content once they post on social media about it. 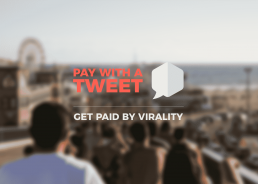 Virality is almost guaranteed. A picture is worth 1,000 words. But you may not be an artist or a designer, and don’t have the budget to hire one. There is a growth hack for that! Piktochart is an easy, infographic design app that requires very little effort to produce beautiful, high-quality graphics. Save on designing costs, and make your own infographics here. If you are looking for new ways to optimize your Pay-Per-Click campaign and get the most out of every euro spent, our friends at SEMrush can come to the rescue. 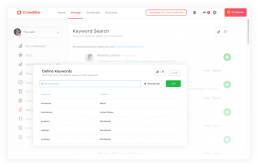 Their PPC Keyword tool helps you create and edit keyword lists for search campaigns. The current version has recently graduated out of beta status. SEMrush has added one more perk for paid users: improved local keyword metrics. PDF’s can be a nightmare! Without expensive software, it seems impossible to change anything in these documents. Wrong! Take a look at the amazing PDFill PDF Tools website. It offers free PDF functions to merge, split, reorder, delete, encrypt, decrypt, rotate, crop, and reformat PDF pages — and much more. From now on, PDF’s will be fun! Chances are you are a decent writer but need a little help to be excellent. 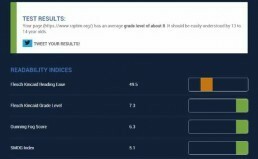 The Readability Test Tool provides a quick and easy way to test the readability of your work. Make merciless edits in your copy, and make texts that are effective! If you had to make one change to your blog today to drive more traffic, we would recommend you should write great snippets. These are short text descriptions that Google shows to describe your page. 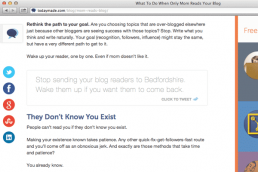 Snippets are usually taken from your blog page’s meta description tag. 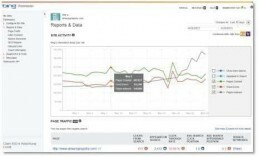 SERPSimulator.com enables you to see how your organic listings will look in Google search results. You can adjust meta title, meta description, and more to make your listings attractive in order to drive more traffic to your website. Do you want to grow your website traffic? Make sharing and commenting on your contents easier. 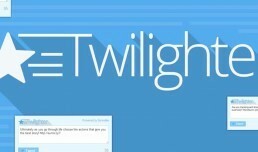 Twilighter will help. With this tool, any visitor on your website or blog can easily highlight any part of your content and share it immediately on Twitter. Ultimately, the more your readers engage with your content, the more new traffic your site will get. If you start running a new marketing campaign, you don’t have to build a new website every time. A new landing page for each new campaign is sufficient. Of course, you want this page to be awesome and effective. A great tool to accomplish this is Unbounce. The Unbounce Builder empowers every member of your team to rapidly build custom landing pages, popups, and sticky bars for any campaign with no coding needed. With Unbounce’s suite of lead-gen and conversion optimization tools, you can maximize the conversion potential of each visitor on both your website and landing pages. Do you run a website and need great pictures to capture the attention of your audience? One option is buying high-quality stock photos from iStock or Getty’s ThinkStock. If your budget is a little tight, use Unsplash, a site with amazing free pictures for you to use. 22. 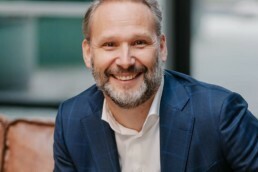 Upwork: Don’t Hire Employees! Don’t get distracted by non-critical processes. The business of the future is lean and agile. The platform economy will help you accomplish this. Use online workplaces like Upwork to hire freelance writers and designers. It is a great way to save on hiring costs, avoid administrative hassle, and give great workers from around the world a chance! The famous Wikipedia software is free for everyone to use. This creates great opportunities. For example, create a wiki to share knowledge in your field of work. This will make your organization a thought leader. A great example is the Shopping Tomorrow wiki which brings together Dutch e-commerce experts. Optimizing your website for search engines is mandatory today. Did you know part of this immense task can be automated? The great WordPress plug-in Yoast helps everyone optimize their web page. Yoast is used by SEO experts as well as newbies. The tool walks you through all SEO steps, so there is no need to hire an expensive SEO expert. Install this great plug-in today! 25. YouTube Analytics: Are the Numbers Different for Female Viewers? How frequently have your videos been viewed? How long do viewers typically spend watching a video? Are the numbers different for female viewers between 25 and 34 years old? How do viewing patterns differ in countries you’re really focused on? YouTube Analytics is a great way to better target your audience!